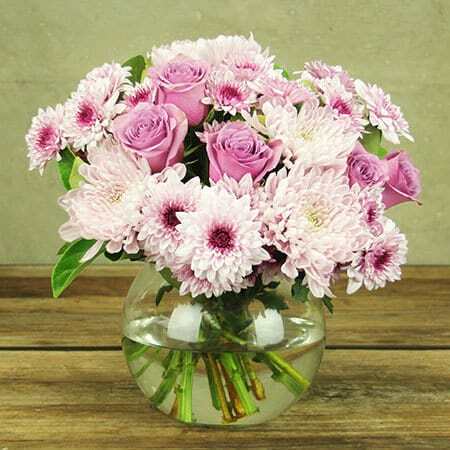 Our gorgeous glass fishbowl vase features a fresh blend of lilac coloured roses and long lasting chyrsanthemum daisies. So pretty! Add a bottle of bubbly, Kennedy & Wilson Berry Bliss Chocolate, a soft white teddy bear or an ECOYA Sweet Pea candle or diffuser for an extra sweet treat. Love these lilac flowers? 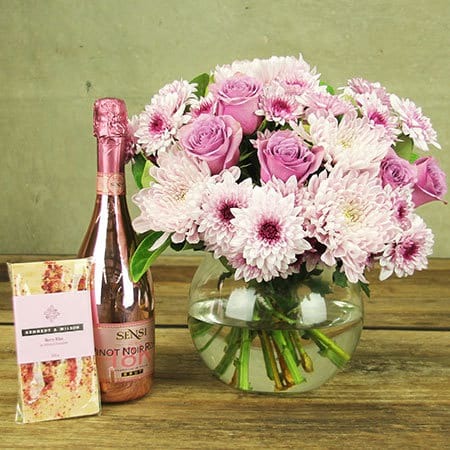 Order our pretty purple vase arrangement online or give the team a call on 1800 66 66 46.